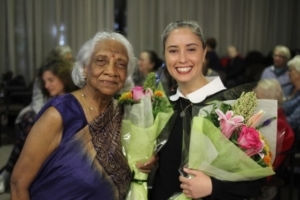 The Centre for Women, Ageing and Media (WAM) celebrated its ten year anniversary at its sixth international summer school in June this year. This took place in Gloucestershire in England. WAM2017 took ‘Noisy Women’ as its theme and the summer school lived up to the promise. 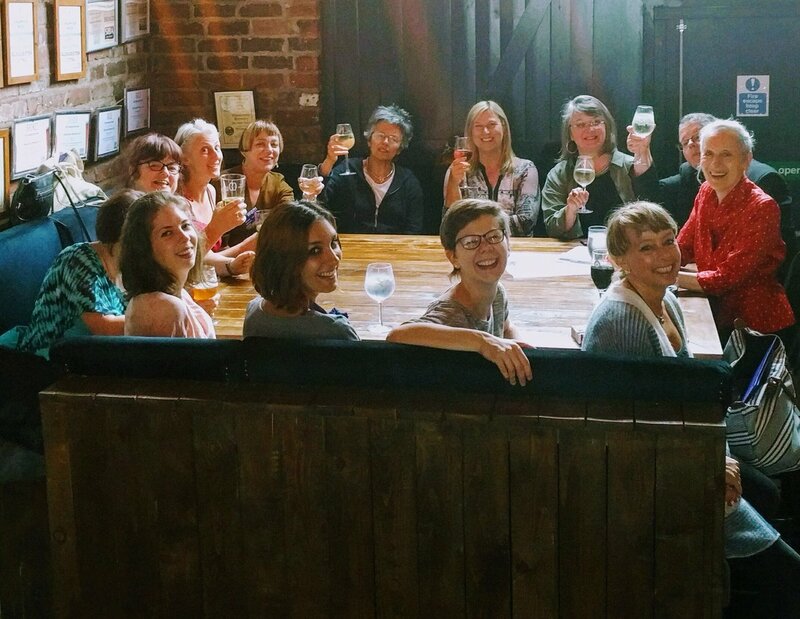 WAM summer school provides the opportunity for early career researchers and students to get together to present work and discuss issues relating to Women, Ageing and Media. WAM’s activist foundations are laid out in the WAM manifesto, and the summer school aims to provide a launchpad not only for further academic work in ageing, but innovative works of activism that challenge predominant attitudes to ageing in the media and in everyday life. WAM2017 was attended by participants from England, Ireland, Austria, Canada and Germany. True to its theme, the summer school began with a workshop on ‘Inheritance Tracks’, presented by WAM and ACT’s Professor Ros Jennings (in the room) and ACT’s Professor Line Grenier, via Skype. Jennings uses Inheritance Tracks as an innovative research method to facilitate discussion about music and memory, and as a mechanism to reflect on the interconnectedness of culture and identities across the life course. In line with the BBC 4 radio programme with which it shares its name, participants were requested to name and discuss one musical track that had been passed to them from another woman. This provided rich material for discussion, illustrating the potential for music to elicit emotional and nuanced responses, and to trigger further memories and discussion. A strong sense of time and place came through this workshop – an incredibly useful research tool. WAM2017 was delighted to welcome ACT Director Kim Sawchuk to deliver the first keynote lecture of the conference, “Making noise together: Expressions, Intersections and Relational Ageing’. Kim asked “what does it mean to inherit from the future?”, using ACT’s ongoing project “Étoile des aînés” to consider how age, ageing and identity are not chronometrically fixed. 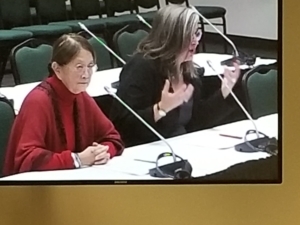 The second day commenced with a senior researchers’ roundtable, with Sawchuk, Jennings and Estella Tincknell answering questions relevant to their careers and commitment to issues around ageing and ageism. This encompassed Estella’s experience of presenting findings on ageing women and the media to the House of Commons in the UK, the inspiration behind WAM, and changing attitudes towards ageing over the past twenty years. WAM summer school always features dancing with its annual ‘Keep Dancing’ event which is a highlight for many participants. Participants’ presentations were woven throughout the first and second days of WAM2017, with contributions encompassing music, activism, poetry, film, literature and television. Presentations included Linda Caissie from St. Thomas University, Canada, who discussed the activism of the ‘Raging Grannies’ in Canada and how they are portrayed in the media, which she has found to be overwhelmingly positive. The ‘old lady’ stereotype used to such good effect to garner media attention elicited mixed responses from participants. Many cheered the media’s celebration of the group, but the use of the word ‘Granny’ was queried, particularly when applied to older women without children. Poet Leah Horne demonstrated aspects of her mixed media project ‘Older Women Rock!’, part of a three month fellowship with Keele University. Her work incorporates spoken word poetry, ‘profane embroidery’ (meaningful words embroidered onto retro clothing), and a flash mob of older women dancing. Representations of older women were also discussed in the context of the television series ‘Grace and Frankie’ (Linda Hess: University of Frankfurt), the literature of Flannery O’Connor (Anneliese Heinisch: University of Graz), and the film R.E.D (Lisa-Nike Buhring: WAM). WAM summer school always features dancing with its annual ‘Keep Dancing’ event which is a highlight for many participants. 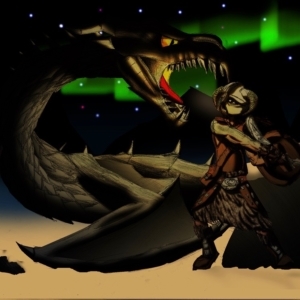 However, it can also be a concern. Keep Dancing acknowledges the restrictions women may feel as they age and provides a ‘safe space’ to submit to the music and enjoy dancing. Keep Dancing’s dual identity as a tenth birthday party for WAM meant there was no excuse for avoiding the dancefloor and a fantastic playlist kept most people on it! WAM2017 also held its inaugural Three Minute Thesis (©University of Queensland) event. The 3MT challenges researchers to communicate the purpose and importance of their work to an ‘intelligent layperson’ audience, with the use of just one slide and no props. The event was a great success, with participants cheered on to deliver their bite-sized presentations. A deceptively simple premise, the format effectively compels researchers to crystallise their thinking, and synthesise the key points of their research. WAM2017’s final afternoon welcomed the Community partners who have either worked with WAM, or with whom WAM hopes to work in the future. Charlotte Bryden and Paul Kane from the Oh Yeah music centre in Belfast, Northern Ireland talked about the work they do with older musicians and music lovers. Charlotte recently hosted the second Women’s Work festival in Belfast, which celebrates women in music, an event which included WAM’s own Ros Jennings discussing music, longevity and genre. 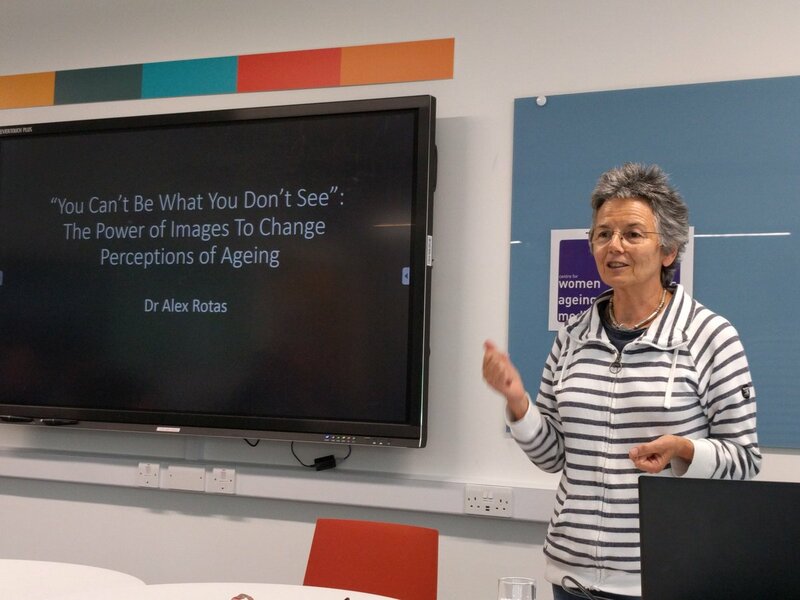 Alex Rotas brought the photos WAM had admired at AgingGraz2017, and talked us through her experiences of photographing and being an older athlete, using the the title, ‘You can’t be what you don’t see’. This was followed by Jim Rawlinson from Gloucestershire Older Person’s Association (GOPA), Ros Jennings’ discussion of autoethnographic work undertaken with the University of the Third Age, and Bridie Breen’s poetry. The emerging theme from the summer school was the need for more intergenerational research, something that will be continued in ongoing work. WAM’s Estella Tincknell provided a fitting keynote for the final day of WAM2017, presenting her talk on ‘Noisy (older) women in Politics’. Estella is a Labour councillor in Bristol, in the southwest of England, and the cabinet member for culture for Bristol City Council. She used international examples and personal experience to illustrate how women are underrepresented in politics, with age used to exclude women from entering politics. Estella explained how women are firstly discouraged from entering politics on the basis of being too young or inexperienced, then are eventually dissuaded due to being ‘too old’. These barriers are not applied to men. The message? BE NOISY, don’t be discouraged, have a say. The intergenerational and international participants of WAM2017 DID have a say, and the emerging theme from the summer school was the need for more intergenerational research, something that will be continued in ongoing work. Highlights from WAM2017 can be seen on our Storify.